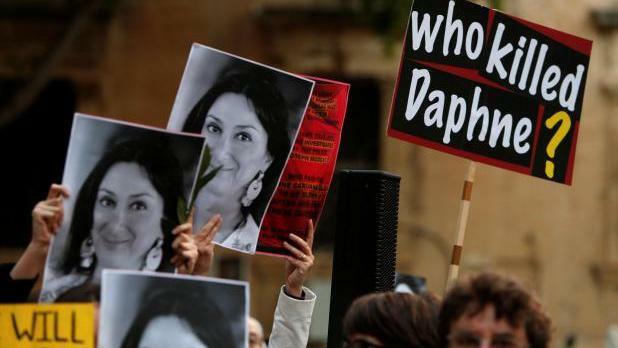 Press freedom had been in dramatic decline since the murder of Daphne Caruana Galizia, but authorities continued to turn a blind eye, the European Federation of Journalists (EFJ) said. EFJ general secretary Ricardo Gutiérrez told Times of Malta journalists continue to be hindered in playing their role as a watchdog. “Malta is not fulfilling all its international commitments to protect journalists and enable a sustainable media ecosystem, which is the only way to guarantee pluralism and diversity,” he said. Mr Gutiérrez reiterated his call for the Maltese authorities to implement the Council of Europe recommendation on the protection of journalists. The government had signed a new Council of Europe recommendation on media pluralism, transparency of media ownership and media literacy two years ago. “Malta had signed the recommendation in 2016 but it has not been implemented yet,” he said. The recommendation urged the government to carry out an independent review of its legislation to protect freedom of expression. The authorities had also committed to setting up an independent body to deal with the protection of journalists. The new recommendation said the law should prevent the State or any powerful, economic or religious group from exerting pressure on the media. It also called on public advertisement and State subsidies to be transparent and non-discriminatory. Saying the lack of action exposed the government’s “hypo­crisy”, Mr Gutiérrez insisted he did not trust authorities with the fight against impunity. “That’s why together with many other international organisations, the EFJ just called on the Maltese PM to accept the launch of an international independent inquiry on the case,” he said. No fewer than 25 organisations wrote to the Prime Minister calling for a public inquiry into the murder of Ms Caruana Galizia. In their letter, the human rights and press freedom organisations noted the current magisterial inquiry focuses solely on criminal culpability. There is no investigation into the “wider and even more serious question as to whether the Maltese state is responsible for the circumstances that led to Ms Caruana Galizia’s death,” the organisations said. Prime Minister Joseph Muscat said there was no need for such an inquiry because, as far as he knew, the family had full confidence in the independent magistrate who was taking care of the investigation.